Wisconsin Dells is the place to go for your next family vacation! 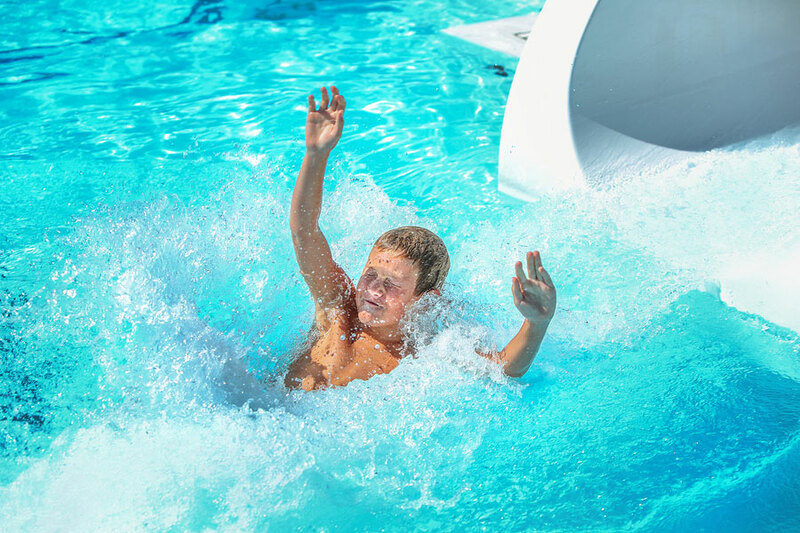 Known as the Waterpark Capital of the World, this town boasts some of the most exciting water slides, water coasters, and wave pools in the nation. 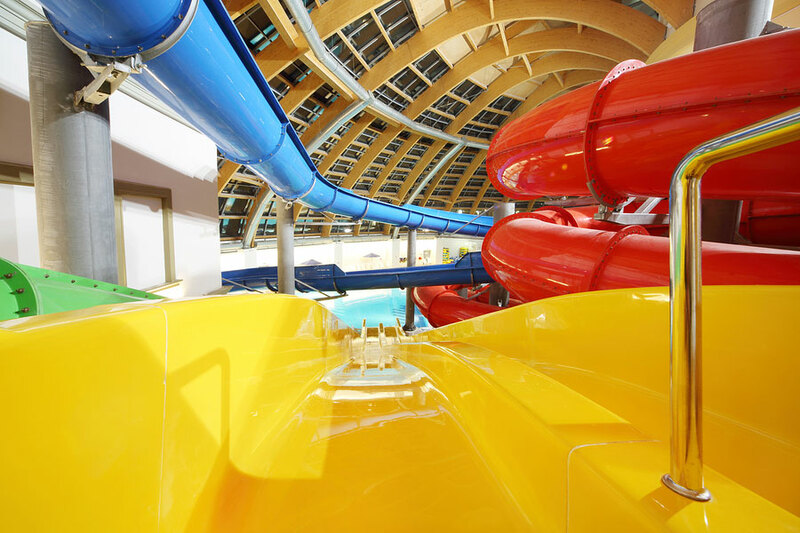 Ride the thrilling 400-feet-long Scorpion’s Tail water slide at Noah’s Ark Waterpark or coast up to 40 mph in the Kalahari Indoor Waterpark’s Tanzanian Twister funnel water coaster. After the waterparks, you can take your family on a tour of the town’s most exciting attractions. Explore 175 interactive science exhibits at the Tommy Bartlett Exploratory or learn about the history of the circus at the Circus World Museum in neighboring Baraboo, Wisconsin. If your family loves to be active, then you’ll love what Wisconsin Dells has to offer. During the summer, book a land-and-sea tour of the Wisconsin Dells with the Dells Army Ducks, where you can see one-of-a-kind rock formations and learn about the history of Wisconsin. During the winter, take your family skiing and snowboarding at Cascade Mountain, which has the best slopes in the state! No matter what the season, you’ll adore your stay in Wisconsin Dells. To view the calendar of events for Wisconsin Dells, click here. Make a splash at the largest waterpark in America! Noah’s Ark Waterpark offers thrilling water rides for every family member. Ride 30 mph down the exciting Black Anaconda water coaster or catch a wave in Surfing Safari’s surf machine. Those looking for a more relaxing visit will enjoy the endless rivers, wave pools, and private, shaded cabanas. If you book your stay with Ramada through this website, you’ll receive up to 4 complimentary wristbands to the park! Contact us for more information. 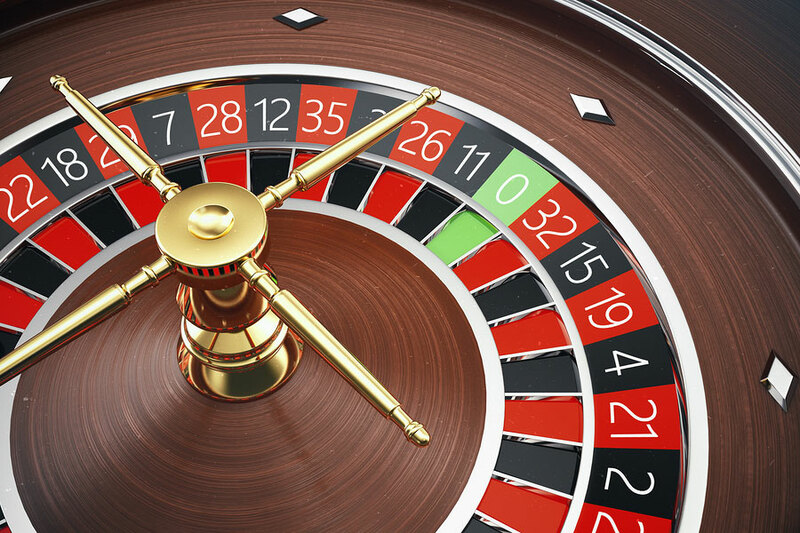 Try your luck at Wisconsin Dells’ most popular casino and entertainment center! Ho-Chunk Gaming provides 24/7 access to over 1,700 slot machines. Play rounds of Blackjack, Roulette, Poker, and Mini-Baccarat with your friends at this can’t-miss attraction. Whether you’re a beginner or a seasoned professional, you’re sure to enjoy your visit. Ho-Chunk Gaming offers smoking and non-smoking areas for all of its patrons. You can grab a bite to eat at one of the many buffets, sports bars, cafes, and fine-dining restaurants on site. Home to Wisconsin’s largest indoor waterpark, Kalahari is your destination for year-long family fun! Enjoy wave pools, water coasters, family raft rides, lazy rivers, and more at this essential Wisconsin Dells attraction. Don’t miss the Zimbabwe Zipper, which is a thrilling 40-mph water coaster within the Zambezi Outdoor Waterpark. Adults will love Kalahari’s Mud Hut Swim-Up Bar and hot tubs. You can find more things to do within the resort, including spas, halotherapy, escape rooms, and virtual-reality experiences.